This stunning 5-light Chandelier only uses the best quality material and workmanship ensuring a beautiful heirloom quality piece. 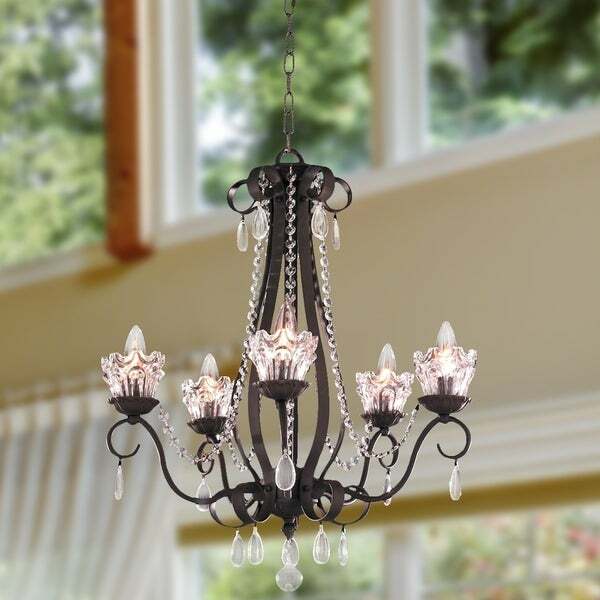 Featuring a handsome Dark Bronze finish, crystal light covers and crystal drops with a lead content of 30-percent, this elegant chandelier will give any room sparkle and glamour. Dimensions 23.0 In. X 23.0 In. X 26.0 In. I returned this item because it was just too much to assemble. It has the right amount of sparkle and individuality to use with our French farm table.